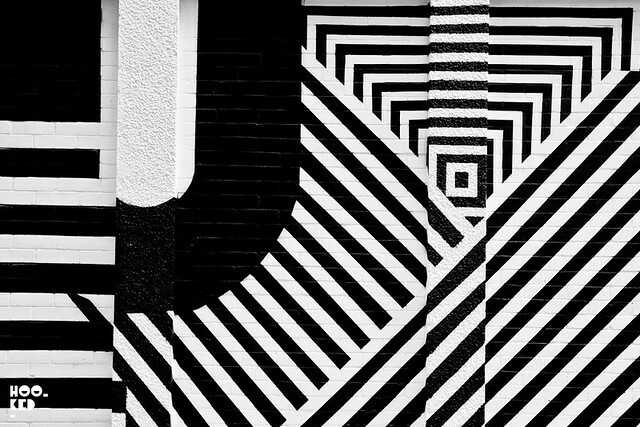 Maser 'Unite' Mural in Shoreditch, London. 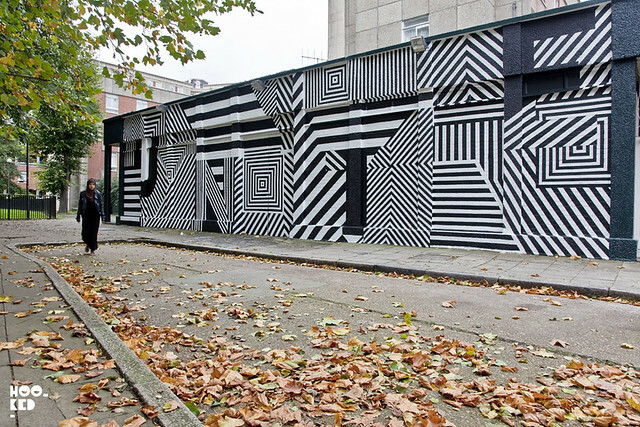 Irish street artist Maser has returned to London producing this new black and white mural titled 'Unite' in Shoreditch. 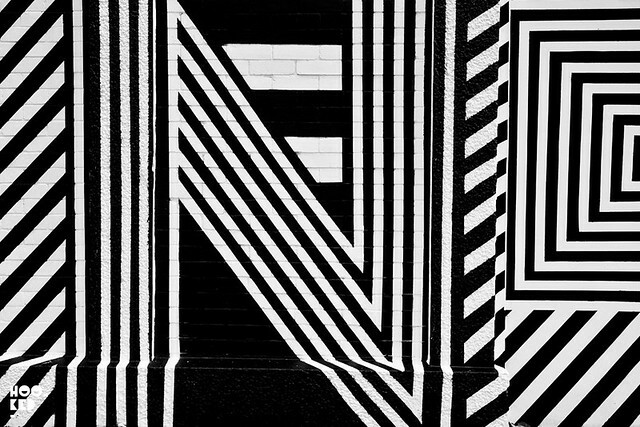 We caught the finished mural this afternoon on the side of the former Ravenscroft Public House on the Dorset Estate in East London which would appear to have a new owner. The site previous featured the work of American artist Gaia who held his solo show "Show Of Hands" (covered here) with Nelly Duff in the venue earlier this year before the pub shut. 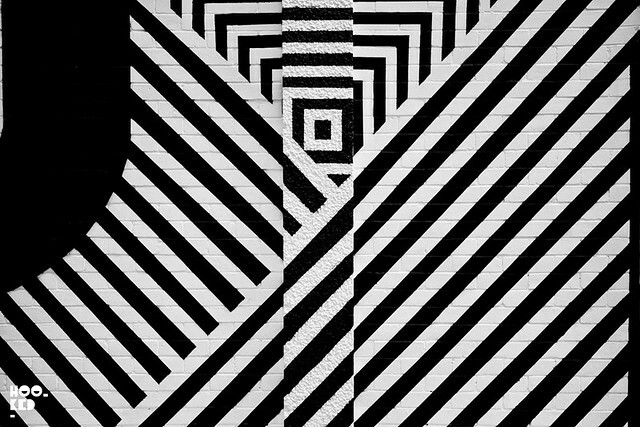 Some additional work from Maser can still be seen in London on Buxton Street, just off Brick Lane which saw him collaborate with fellow Irish artist Conor Harrington (covered here). 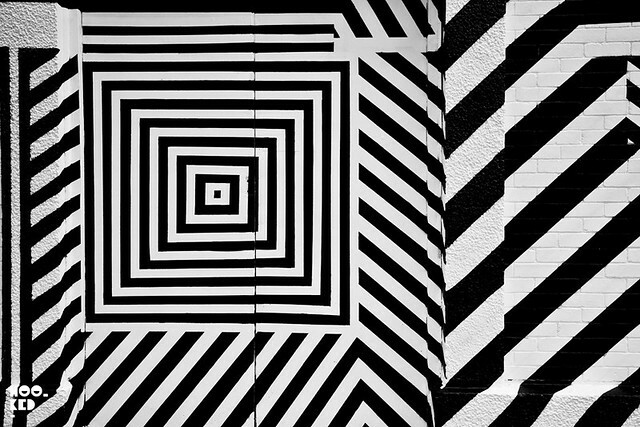 It was also been announced this week that Maser will be one of the invited speakers taking part in the creative conference Offset 2014 in Dublin, Ireland. We have attended Offset the last few years and had a fantastic time and the line-up for 2014 is shaping up very nicely, so we suggest you get involved and book yourselves some early bird tickets on the Offset website here.